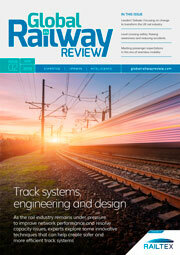 As the railroads delve deeper into the digital age, it is important that they continue to evolve their systems, capabilities and culture to take advantage of the data they collect to learn from and use it to better describe and predict real world events, as well as offer prescriptions for a smarter way of operating a railroad. The Digital Rail Revolution conference will explore the latest trends in digital technology and bring together industry experts together with delegates to discuss, share knowledge and debate this exciting evolution in rail. Debate; Why, if or when, is investing in digitalisation right for your organisation? Have your say in debates and ask questions! ...and be a part of the digital revolution!